Craig just had a seating clinic today because he is in need of a new wheelchair. 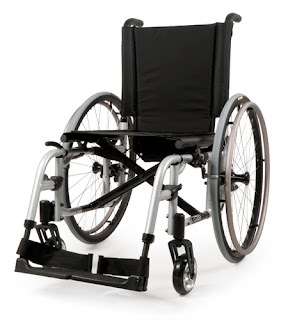 Because he has always used Quickie brand manual wheelchairs, he is hoping to get what would be his 5th Quickie wheelchair. I too loved my pink manual Quickie chair, but Ineed a power chair so I had it only as a back up. In Ontario, for anyone who doesn't know if you live here, there is a government program called ADP (Assistive Device Program). 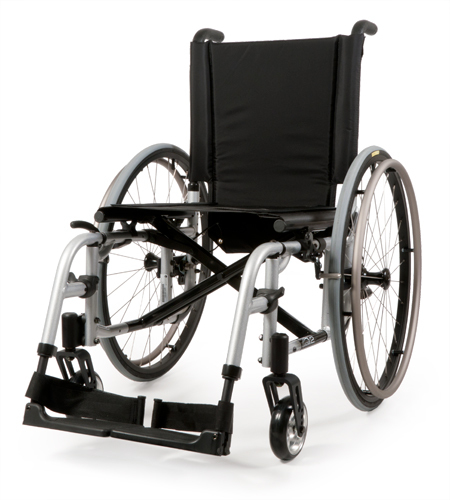 If approved, the client is eligible for seventy five percent coverage for mobility devices. I am not sure about anything else except coverage of wheelchairs and the cushions we need for them. Spoke Too Soon so see that part. My hope again is that the company, Quickie/Surise Medical will be able to learn about the specific problem by watching this video. We believe there may be a fault in the spokes since it is his third replacement pair, with the same clicking sound. Not sure, just keep trying to figure it out so all will be fixed and safe. We are presently still waiting for a response about getting the now two broken spokes fixed. Craig keeps loving his wheels and isn't too worried about whether they will be fixed. Me on the other hand, I am happy for him about the way they help him so much. And I am glad they were taking care of the issues the last couple of times. It's just the ongoing issue that concerns me and wondering why the manufacturer of the wheels apparently haven't told our vendor what to do about the broken and disconcerting spokes. I am just a tad paranoid, I pray all will go well for him. He really is blessed by the Quickie products and I want it to all be taken care of for good. Can't tell you how much it stresses me, when I hear the click. I just ask God for help to not worry! !